Reversing the decline in public scientific literacy — that mission has never been more important. That’s why the Society’s Science News and Science News for Students make today’s most exciting and important science developments accessible to tens of millions of readers. Our readers tell us Science News and Science News for Students have become their indispensable first reads — with succinct journalism, accessibly written and always credible. Science coverage you can rely on — it’s just one way the Society is your champion for strong science. Join us and get full access to Science News as part of your membership. 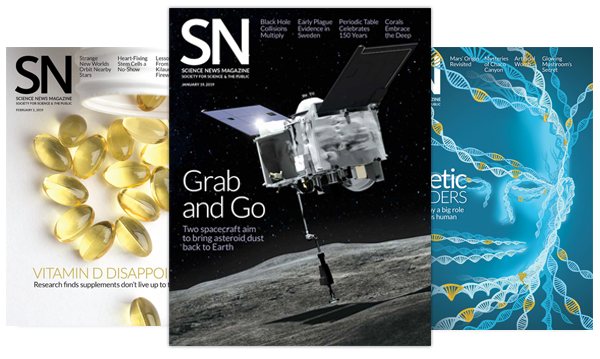 Science News is the award-winning flagship magazine of the Society — reaching 90,000 print subscribers and more than 22 million unique pageviews in 2017. Written by a staff of expert science journalists, Science News gives readers a concise, best-in-class overview of the most important science news from all fields and applications of science and technology. Science News appears biweekly in print and is continually updated online; you can also access the Science News app on your Apple, Android, Kindle Fire devices. Science News for Students is the Society’s award-winning free online publication dedicated to students, parents, and teachers — used by nearly four million visitors annually. 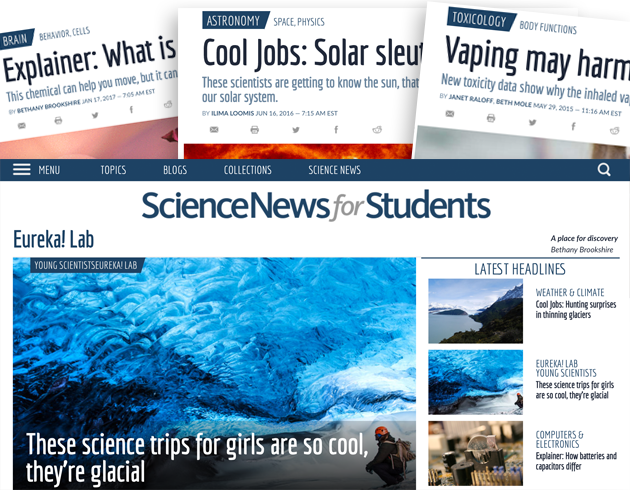 Science News for Students content is designed to be accessible and interesting to student scientists — connecting the latest in scientific research to in- and out-of-classroom learning. We pair our timely, interesting news stories and features with suggestions for hands-on activities, books, articles, and web resources. Science News for Students is available for free thanks to the support of organizations and individual donors.